829. הַסֻּכָּה מְגִנָּה עַל יִשְׂרָאֵל, זֶהוּ שֶׁכָּתוּב (ישעיה ד) וְסֻכָּה תִּהְיֶה לְצֵל יוֹמָם מֵחֹרֶב. הַסֻּכָּה הִיא מְגִנָּה. מַה תֵּבַת נֹחַ לְהָגֵן, אַף כָּךְ סֻכָּה לְהָגֵן. וְעוֹד מִכָּל הָחַי – ח”י בִּרְכוֹת הַתְּפִלָּה, וְהֵן תֵּשַׁע תֵּשַׁע. בִּרְכַּת הַמִּינִים בָּהּ נִשְׁלָמוֹת עֶשֶׂר סְפִירוֹת מִמַּעְלָה לְמַטָּה וּמִמַּטָּה לְמַעְלָה, וְהִיא כְּנֶגֶד נֹחַ. 830. וְעוֹד מִכָּל הָחַי – הַשְּׁכִינָה מְגִנָּה עַל אֵלּוּ שֶׁשּׁוֹמְרִים י’, אוֹת שַׁבָּת בַּתְּחוּם שֶׁלּוֹ, שֶׁהוּא שְׁמוֹנַת אֲלָפִים, אַלְפַּיִם לְכָל צַד. וְעוֹד מִכָּל הָחַי – אֵלּוּ שֶׁשּׁוֹמְרִים י’, אוֹת בְּרִית, שֶׁהוּא בִּשְׁמוֹנָה יָמִים, שֶׁנֶּאֱמַר עֲלֵיהֶם, (ויקרא יב) וּבַיּוֹם הַשְּׁמִינִי יִמּוֹל בְּשַׂר עָרְלָתוֹ. וְעוֹד מִכָּל הָחַי – אֵלּוּ שֶׁשּׁוֹמְרִים אוֹת י’, תְּפִלִּין בִּשְׁמוֹנֶה פָּרָשִׁיּוֹת. 831. הַשְּׁכִינָה, שֶׁהִיא סֻכָּה, מְגִנָּה עֲלֵיהֶם, וּפוֹרֶשֶׂת כְּנָפָהּ עֲלֵיהֶם כְּאִמָּא עַל בָּנִים, וּמִפְּנֵי זֶה תִּקְּנוּ לְבָרֵךְ הַפּוֹרֵס סֻכַּת שָׁלוֹם עָלֵינוּ. וּמִפְּנֵי זֶה בַּחֹדֶשׁ הַשְּׁבִיעִי, שֶׁבּוֹ כָּל מִצְווֹת אֵלּוּ, (שיר השירים ח) מַיִם רַבִּים לֹא יוּכְלוּ לְכַבּוֹת אֶת הָאַהֲבָה, עַם יִשְׂרָאֵל בַּאֲבִיהֶם שֶׁבַּשָּׁמַיִם. וְאֵין מַיִם רַבִּים אֶלָּא כָּל הָאֻמּוֹת וְהַמְמֻנִּים שֶׁלָּהֶם. אִם יִתֵּן אִישׁ, שֶׁהוּא סָמָאֵל, כָּל מַה שֶּׁיֵּשׁ לוֹ בָּעוֹלָם הַזֶּה, כְּדֵי שֶׁיִּשְׁתַּתֵּף בְּאֵלּוּ הַמִּצְווֹת עִם יִשְׂרָאֵל – בּוֹז יָבוּזוּ לוֹ. (Previously published as DZ 1372)- edited and added section about the Lulav below. The Zohar quotes Isaiah and states that like Noah’s Ark that provided protection from the judgments outside of the Ark, the Sukkah provides the same protection. Noah was asked to bring “from all the ‘living'” “מכל החי”. The ‘living’, חי is numerically 18 for the 18 blessings in the prayer that divided into nine for the direct Light of the Sefirot from Keter to Yessod and nine for the returning Light from Yessod to Keter. Malchut doesn’t have light of its own and the ‘life’ energy comes from the nine Sefirot above it. We reveal the upper Light in Malchut when we ‘push’ it up, restrict, and create returning Light. The spiritual Light is revealed in a similar manner as the physical light. We can see things only when the light is directed toward an object (vessel) and the object reflects the light back. Black represents the desire for the self alone. It swallows the light but stays in the ‘darkness’. White shares everything it receives but has a great revelation of Light. 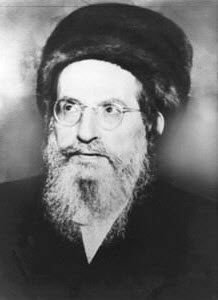 Other than preserving the wisdom of Kabbalah for future generations, Rabbi Shimon wrote the Zohar to provide support for the Shechina in exile after the destruction of the Holy Temple. The secrets that are revealed in the Zohar create unification of upper יהוה and lower אדני to provide protection like in the Sukkah. The Sukkah סוכה is numerically 91 as the combination of the two names יאהדונהי. I heard from Rabbi Benyahu Shemueli, quoting Rabbi Shimshon of Ostropoli (http://rabbishimon.com/tzadikim/showz.php?p=shimshonostro.htm, http://en.wikipedia.org/wiki/Samson_ben_Pesah_Ostropoli) about the connection between the two names and the Ark through the measurements of the Ark. One cubit אמה = 18 inches or 45 centimeters. The actual measurements specified in the Torah can make a nice boat size but not one that can hold all the animals needed to be loaded into it. The secret of the measurements is the connection to the names of God, unifying upper and lower levels. We multiply the value of the letters of the names with each other as in the table below to reveal the connection and protection of the Ark. We don’t need to look for the remains of Noah’s Ark at the top of the Ararat mountains but open the books of the Zohar. When we study the Zohar we get inside a spiritual Sukkah that connects upper and lower and protects us from judgments as if we are inside Noah’s Ark. The Lulav includes 6 items, three myrtle branches, two willow branches and the un-opened palm branch. Its name is Lulav and because it is the main item and the aspect of Yessod, it lends its name to the entire 6 when they are assembled together. It is the ‘spine’ of the Lulav and holds the essence of the six. Similarly, the spine of the body holds the other bones and gives them strength. The word bones, עצמות, also means essence, power. In the body they are the aspect of Chokmah. The Lulav and the process of shaking it during the seven days of Sukkot are a great tool for us for connecting to Zeir Anpin and drawing its Light into our lives. The Lulav shakings are done in four sets of 18 with total of 72. Lulav, לולב is numerically 68 חס and with the 4 ד species its 72. This is also the value of Chessed, חסד. Each of the 72 shaking has its own 3 shakings and that brings the total to 216, same as Gevurah, גבורה. 3 Myrtles for Abraham – Chessed, Isaac – Gevurah and Jacob-Tiferet. 2 Willow branches for Moshe- Netzach and Aaron- Hod. 1 Unopened palm branch – for Joseph- Yessod. The seventh element is the Etrog for David- Malchut. The seven above represent the Ushpizin (guests) that we invite to the Sukkah every day. They all come together but everyday a different one lead the seven, according to the Sefirot. Abraham on the first day, Isaac on the second and so on until the seventh day and King David. The Lulav as a whole is right and we hold it with our right hand. The Etrog is Malchut, Left and it is held with the left hand. After the blessing on the Lulav we should not separate the two until the end of the shaking, including the Hakafot. If we share the Lulav with another then it’s better to complete a set before transferring the Lulav to the other(s). Women don’t have to own or shake a Lulav but it’s beneficial if they hold the Lulav and shake it once, with or without blessing. A woman is a vessel and when her husband bless and shake the Lulav and or if she’s with a congregation, she’s automatically benefit from the revealed light. Sukkot is a holiday that is full of Light. Rabbi Ben Zion Mutzafi (שליט”א) explains that the light of Sukkot was revealed first after the Exodus and chronologically would be after Passover but because of the high light it was ‘moved’ to after Yom Kippur that purifies and prepares us for the light of Sukkot. Chag Sameach to all. Next DZ study after the first two days of the holiday. Daily Zohar # 2847 - Ha'azinu - Father and mother delivers Daily Zohar # 2848 - Ha'azinu - How to experience the presence of God?